Reel Big Popsie is the most pristine 76 Viking on the market today! She is outfitted with a Palm Beach Tuna Tower, Factory installed Seakeeper gyro stabilizing system,state of the art electronics, additional 600 gallon fuel tank, teak cockpit sole, plus has the additional sixth stateroom. Professionally maintained by a full time Captain and in immaculate condition. She is ready for your inspection . PLEASE CONTACT DEBORAH ZELLER AT NAPLES YACHT BROKERAGE TO SCHEDULE AN INSPECTION OR TO REQUEST FURTHER DETAILS. United Yacht Sales New Jersey would love to guide you through a personal showing of this 76' Viking 76 Sportfish 2013. 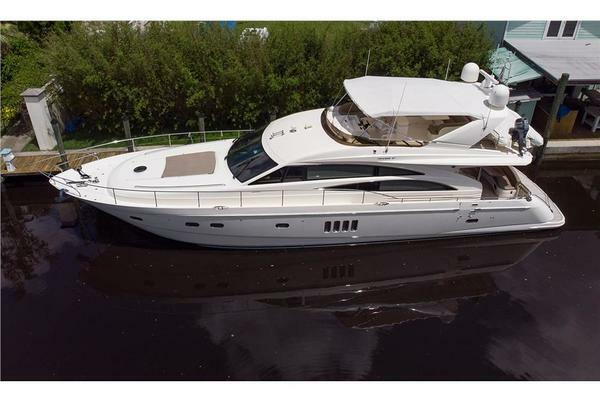 This yacht for sale is located in Naples, Florida and priced at $4,485,000. For a showing please contact us by filling out the form on this page and we will get back to you shortly! Reel Big Popsie features a six stateroom layout. A full beam master with king size berth, two VIP staterooms with queen berths,two staterooms that feature upper/lower bunks all with ensuite heads. The sixth stateroom is forward of the galley with a single berth. The salon is full beam with dinette, galley and day head. Powered with upgraded MTU M94:2600hp engines2017 - engines and generator serviced. There are a few personal belongings aboard. Prospective purchasers should not assume the items not specifically mentioned will convey at closing. The tender is not included in the sale.